I first met Nan Cuba in the late 1980s in sultry Swannanoa, N.C., where we both were trying to figure out how to write fiction in the MFA Program for Writers at Warren Wilson College. Nan had a soft Texas drawl and a ready laugh. Our workshop colleagues would discover Nan was really made of rawhide and cussedness, when it came to her drive to see a novel through. This year, she published her debut novel Body and Bread (Engine Books), a book that has only gotten better from the early drafts I first saw years ago. She explodes our cozy theories of closure and grief with a penetrating study of a middle-aged woman trying to make sense of her beloved brother’s suicide. Her narrator, Sarah Pelton, is a brittle personality, an anthropologist who studies human sacrifices of the ancient Mezo-American culture as well as the petty sacrifices of her 1950s childhood growing up in a small Texas town. Along the way, the reader gets interesting asides on Tex-Czech culture, Indian massacres, 20th-century lynchings and medical autopsies. But here’s a writer who isn’t afraid to dig into the ambivalence and even strangely incestuous feelings that still haunt Sarah. The book has been winning raves, including O Magazine’s “Ten Titles to Pick Up Now” and Huffington Post’s “Summer Books: 15 New Releases to Put on Your Reading List.” Nan Cuba talked about writing, influences and publishing during an interview from her home in San Antonio. Dale Neal: How difficult was it to turn autobiography of a family suicide into meaningful fiction? Nan Cuba: My brother, Paul Brindley, died over forty years ago. Before the book’s publication, most people didn’t know about that, and I didn’t know I was writing about him when I began the novel. When I published a piece of flash fiction, “In My Brother’s Hands,” a friend said it was uncomfortably close to a Katherine Anne Porter story, “The Grave.” I re-read the story, and yes, like mine, it’s a woman recalling a childhood incident with her older brother, and yes, their experience is similar to my characters’, but the most revealing aspect of the Porter story was the brother’s name, which was Paul. At the time, I was a MFA student at Warren Wilson College, and my faculty adviser Richard Russo said, “If you’re not writing autobiographically based fiction, start doing that now.” So I wrote more stories about this brother and sister and their family, stories inspired by recalled images and my family’s myths. Deep into that cycle of stories, which became the genesis for the past-time plot in my novel, I realized that I, like the narrator Sarah, was investigating possible reasons for my brother’s suicide. I worried that people, especially members of my family, would think using the tragedy of Paul’s death was a violation, until I realized that he would have loved the fact that I get to say his name after all these years and testify to the love we all felt for him. I will admit that describing the character’s suicide and the narrator’s reactions, although totally imagined, were difficult, but I was able to render them by focusing on language, sentence structure, imagery, pacing, tone--in other words, aspects of craft, rather than the emotional subtext. Twenty years later, here’s what I've learned: Suicide can never be explained. Neal: Where did you become so fascinated by the Aztec/Mexica culture and the idea of human sacrifice? Cuba: I live in a city that is seventy percent Latino, and I began my teaching career in the barrio where I have returned as a university professor. I can’t help but feel that, like an anthropologist who usurps a culture for the purposes of her investigation, I have done the same, using Mexica history to enhance my story. I only hope that those aspects will be seen as demonstrations of respect, in part due to my research into Mexica metaphysics, history, and the Nahautl language. After my protagonist, Sarah, hears about her brother Sam’s death, she makes a promise, “I’ll live for both of us.” She is later plagued with waking dreams during which she imagines being physically transported to pre-Columbian sites. One of these hallucinations appears on the book’s first page as the prologue. Sarah imagines building an ixiptla, an effigy, to the Mexica metaphysical energy force, teol, this time taking the shape of the god Xipe Totec. Xipe wears a sacrificed victim’s skin. When Sarah is a student in the Universidad de Mexico, her professor takes her into a tunnel beneath the Pyramid of the Sun in Teotihuacan, and she imagines Sam’s spirit, like the Holy Ghost, moving inside her. These images of sacrifice and transubstantiation symbolize Sarah allowing her brother’s spirit to be present through her. 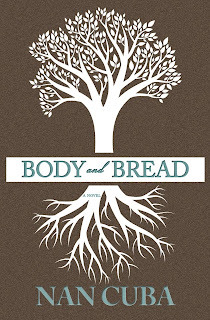 By the end of the story, however, Sarah adopts a different Mexica belief: “Destruction is necessary in order to create.” The title, Body and Bread, alludes to Catholic doctrine, but it also refers to Mexica metaphysics. Neal: Talk about Texas as a place, and what other Texas writers have inspired you? Cuba: Because my landscape testifies to our need to persist, in thorny determination, it branches, throws out color, breathes. That mockingbird pecking the back of a racing cat, that hawk scavenging in the clearing are incarnations of the Texas spirit. Yet everything is surrounded by a sky so vast and unpredictable, its message is fire and brimstone--no wonder Central Texas is called the Bible Belt. But that vastness also signals hope, grace, an acceptance of the incomprehensible. Katherine Anne Porter is the Texas writer who has influenced me the most. Not only does she write about characters and events that seem familiar, especially those in her Texas cycle; her imagery, language, sentence patterns, and allusions (influenced by the King James version of the Bible), along with her pioneer sense of irony were also found in the voices of my childhood: my grandmother, who had a prized degree in elocution, my father, who was a high school national debate champion, even my agnostic, mischievous mother. I read Porter’s stories, and I still hear them. Neal: Finally, talk about the long road to getting your novel finally published and working with an independent publisher like Engine Books. Cuba: It took over twenty years for my book to be published. During that time, I also taught in various capacities and founded a nonprofit literary center, Gemini Ink. So why didn’t I give up? My agent, Esmond Harmsworth, and I pitched the manuscript to over fifty publishers. I revised it so many times that I can’t guess the number. Ted Solartoroff said in his essay, “Writing in the Cold,” that writers should think about rejection like Eskimos think about ice and cold. We should not only accept rejection; we should make use of it. Eventually, I noticed that with each revision, my writing got better, that the years had become an apprenticeship. Then I sent the manuscript to Victoria Barrett at Engine Books. She had me write another revision before she accepted it, and then I revised it two more times before it was published. Although Engine Books is a small, independent press, the years of waiting were worth it. 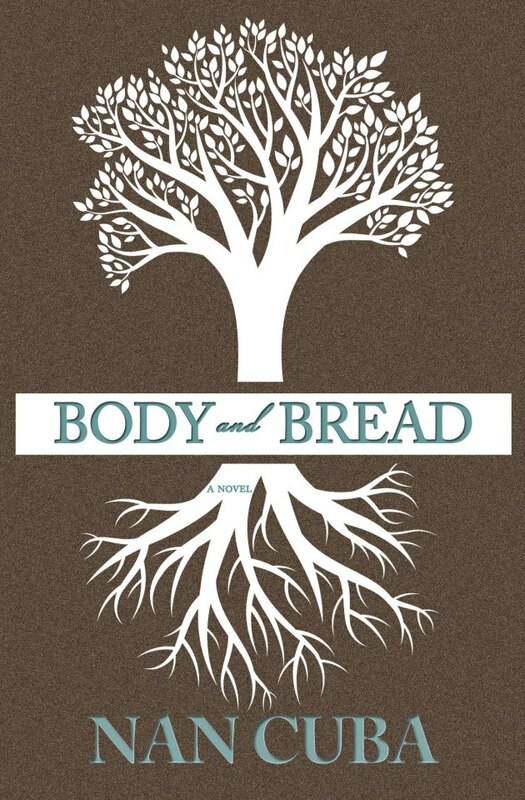 I’m immensely proud to have Body and Bread in the Engine Books lineup.